FOXBOROUGH, Mass. -- Tom Brady found something encouraging in his toughest stretch of the season. FOXBOROUGH, Mass. — Tom Brady found something encouraging in his toughest stretch of the season. The Patriots showed that comeback ability a year ago against the Miami Dolphins, the team they’ll meet in the regular-season finale on Sunday. In last season’s matchup at Gillette Stadium in the next to last game before the playoffs, the Patriots overcame a 17-0 halftime deficit by scoring the next 27 points and won 27-24. New England can be seeded in any of the conference’s top four spots. The Houston Texans, Denver Broncos and Baltimore Ravens also will finish in the top four with the top two getting first-round byes. Coach Bill Belichick isn’t focusing on all the possibilities. The Patriots had won seven straight games, capping that stretch with wins over the Dolphins, 23-16, and Texans, who entered that game with the NFL’s best record but lost 42-14. In his first 11 games, Brady threw three interceptions and was sacked 15 times. In his last four games, he’s had five interceptions and 11 sacks. One of those was against Miami on Dec. 2. The Dolphins had cut the lead to 20-13 on Dan Carpenter’s 33-yard field goal with 8:28 left in the game. Then the Patriots put together a time-consuming drive that resulted in Stephen Gostkowski’s 20-yard field goal with 1:10 remaining. 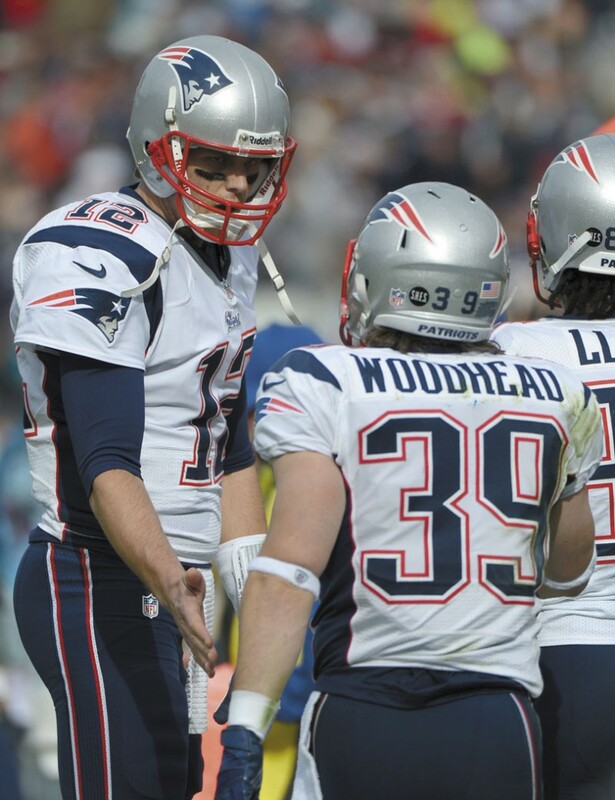 Carpenter kicked a 42-yarder, but the Patriots recovered the onside kick, ending the Dolphins chances. Win or lose, the Patriots will be heading to the playoffs. They could play in the wild-card round the following weekend. Or, if they’re seeded first or second, they’d have the weekend off before hosting a divisional playoff game.